Group booking policy: Total payments needs to be made from atleast 2 weeks prior to arrival and is non-amendable and non-refundable. For group booking the first night deposit will be charged and the remaining amount atleast 4 weeks prior to arrival which is non-refundable. 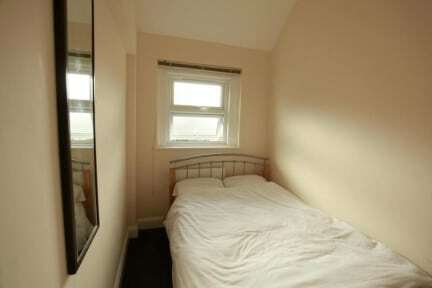 Heathrow Hostel is the best choice for those seeking convenient location and value. Situated just minutes from Heathrow Airport, 4 tube stops away on Piccadilly line, we will to ensure that every traveler has a good experience. We offer a wide range of accommodation, from shared dorms to private rooms. Whether you are staying one night or couple of weeks, everything will be done to make your stay as comfortable as possible. All rooms are of good standard with fresh linen provided. Free WiFi available throughout the building! 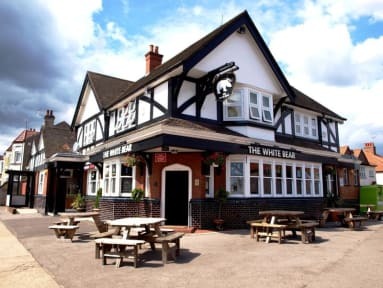 Reasonably priced restaurant and a sports pub The White Bear is located on the ground floor with four big screens, darts, games machine and two pool tables for guests to enjoy. For an additional price we also serve freshly made variety of English breakfasts every morning between 6:00-10:00am which can be ordered on check in or early in the morning before 10:30am.